@Heartbreakn Let me clarify. I did not mean that I thought Soo-Hyun messed up. I meant her mother thought she messed up when she became pregnant. It is clear we will not ever know what transpired, that the mother stepped in to take the baby and Soon-Hyun and Tae-Oh did not get married. Knowing what happened other than SH telling TO that they are dead and leaving, would have only taken a few more minutes in the drama for the writer to give us more background on the two of them. Who knows, if I have more insight into SH and TO's relationship, I might feel differently about SH. I agree with the fact that SooHyun, Tae Oh and HaeRa are all manipulators, but I believe sometimes their circumstances that change a person. And neither SooHyun or Tae Oh engendered someone life with their lies and manipulations. I gather that you are saying that Hae-Ra endangered someone's life? Whose life did she endanger with her lies and manipulations? First of all what lie did she tell? She really did not manipulate In-Joon because up front she told him that whatever she does, not to fall in love with her. Secondly, she did fall for him. When she told him that she liked him (go back and check) it was before, she received the information about her sister being pregnant at the time of the incident, and thirdly, In-Joon was giving up his stock anyway. He was doing it because he knew that once he did not have money Soo-Hyun would not want to marry him. When Hae-Rae told In-Joon to give up everything, he had already met with his brother and given him his stock. If you can put on rose colored glasses when it comes to Soo-Hyun and Tae Oh, put them on for Hae-Ra also. You seem to have forgotten that it was Tae Oh who approached Hae-Ra not the other way around. It was Tae Oh who showed her In-Joon's signature on the hospital records, before that Hae-Ra had no indication that In-Joon had any contact with her sister. Hae-Ra was not going to go along the Tae Oh before he showed her the record. But he gets a pass for putting all of this in motion? If anyone endangered anyone's life, it would be Tae-Oh because if he never approached Hae-Ra, her friend would still be alive, In-Joon's uncle would still be alive and perhaps In-joon would not have gone to prison. But who knows for sure? Since he did not speak with the police at that time and his uncle and the physician covered it up, can any of us say for sure it would not have been used later by his brother and step mother to remove him from the company??? I have no problem with you liking Soo-Hyun and feeling badly for her; however, I ask you to be fair across the board. I am not excusing Hae-Ra's behavior, because she is a prime example of what happens when you let revenge engulf your life. Hae-Ra started out as a spunky, clear headed, smart young lady. Once she found out her sister was pregnant at the time of the incident, and when she saw the picture with her sister and In-Joon seemingly together, (don't forget it was the step-mother who had the picture planted in the friend's belongings) she literally lost it. Any rational thinking went out the window and that is when she start to seek revenge. In Hae-Ra's rage, In-Joon's stepmother's saw an opportunity to replace In-Joon as the CEO and used Hae-Ra to do it. As I see it, Hae-Ra was manipulated by Tae-Oh and In-Joon's stepmother. However, I am at a lost as to whom she manipulated and who she lied to. Let's face it, had Hae-Ra been thinking clearly she would have never drugged him. Seeking revenge is never a good thing, because of the rage Hae-Ra felt, she lost out. She did not listen to her heart and lost a good friend and a good man, trying to avenge her sister. What people are not saying (and I have not had the time to read every post) is that they did not think Hae-Ra should have tried to break SH and IJ up, and normally, I would think the same way. However, this was a contract marriage and let's face it, In-Joon just was not that into Soo-Hyun. I get the feeling that most people would have preferred Soo-Hyun and In_joon get married and both be miserable for the rest of their lives. In Joon was satisfied with the contract marriage until he met Hae-Ra. It was In-Joon who fell for Hae-Ra first.They had a lot in common, and she was someone he could talk to that understood him. Her presence soothed him and just being with her allowed him to sleep peacefully. Because Hae-Ra did come between the two of them, many of you refuse to be fair when it comes to her. 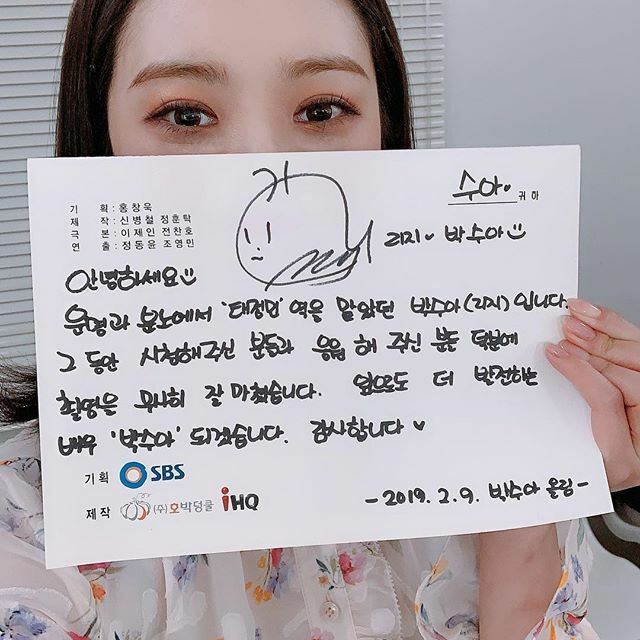 Advocate for Soo-Hyun because you like her and see good in her; however, I ask you to be fair to Hae-Ra also although you dislike her. Wait, when on the earth did I say I disliked HaeRa? If you read my previous messages, before the one explaining how I see SooHyun because some reader said they couldn't understand her, I never once said a bad thing about her. Expect if me saying that I absolutely adore the two main female actresses and their characters is me disliking HaeRa. The only character/person you can 'accuse' me of disliking is JTO, if you check my messages after every episode I always bad-mouthed the actor bad acting and by consequence his character. I'm sorry I posted and liked a character you hated and I'll be sure to never post anything about her in the near future because I don't want to be told I dislike someone I don't. I truly and sincerely apologize for posting my point of view on a character that everyone seems to dislike because of some sort of mistranslation (apparently, I dunno because I don't know what the eng sub are saying). I beg you guys to rewatch the scene with the babysitter at the airport, the bad one was Tae Oh not SooHyun. It's truly one of the key scenes to understand SooHyun's misery. Hope you guys will enjoy Saturday's episodes and ending. And once again I apologize for having bothered you and apparently for hating on HaeRa. No apologies necessary. If I misread you, then I gladly and humbly apologize. I have do not problem admitting when I am wrong. Please accept my apology. Most of all what I do not want you to do is to stop expressing your opinion. I will re-watch the scene at the airport because I did not get that Tae Oh was the bad one. However, I also did not put any blame on Soo Hyun because I did not have enough information to lay blame on either of them in that scene. All I know is Soo Hyun walked away from him and he was heartbroken. I don't know why she walked away, I don't know why she gave up the baby. But I do know she is cold on the surface and in the beginning she tried to belittle Hye-Ra. I also did not like the way she pushed herself on In-Joon once he wanted to call it off. Again accept my apologies. However, this might be my last post on this drama, because as of last night, the last four episodes were still not subbed... I have let many dramas go because of slow subs and this might be one of them. Sometimes I make my way back to them but most times I don't. It is a shame because I really liked this drama and thought all of the actors were doing a fine job with the script they were given. By the way, I don't hate Soo-hyun, she wears the most amazing clothes and she wears them well. Okay, most of the last 4 episodes were subbed to the point that I could get an understanding of what is happening. Forget Hae-Ra, Tae Ho and Soo-Hyun, all I want to do is to bring the mother and that Jung Ho DOWN! I now understand the sister-in-law. I knew that the mother and Jung-Ho treated her poorly, but when Jung Ho pushed and knocked her to the floor and hit her (thank God we were saved from seeing the beating), I was and I still am livid. I then understood her behavior. She is not useless, her behavior is that of a battered woman. I am so glad she was smart enough to record the conversations and turn them over to In-Joon. From that point on, I was like, I don't care what Hae-Ra has done, I done care what Tae-Ho has done, lets take this son (expletive) down. Jung Ho and his mother needs to rot in prison. My prediction: Hae-Ra and In-Joon will get back together and he will forgive her. When he asked her why she was doing what she was doing that he would never forgive her. Hae-Ra cut right through all of that bitterness when she said, I know, I can't forgive myself. That let him know more than all the "I am sorry" she could have said, that she was truly sorry for what she did to him. Having heard the tapes, he knows that she was manipulated by his stepmother. What hurt him is that she could think that he would so such a thing. That was the part that I did not get. Could someone who cried when she was hurt, harm someone else? I will give Soo-Hyun credit, she never once believed that In-Joon could have been guilty. However, if she continues to vilify Hae-Ra, it is going to backfire on her. It is time to back off and let In-Joon go his way. So the show ends tomorrow right.? SBS’s “Fates and Furies” unveiled photos of Lee Min Jung and Joo Sang Wook before the finale. The two lead characters are facing each other on the street that contains their memories. The night scenes surrounding them are romantic, but they are stuck in a heavy atmosphere. What brings them back here late at night? Joo Sang Wook seems to be saying something important to Lee Min Jung with a dark expression on his face. He knows better than anyone that if he discloses the slush fund scandal involving his half-brother, she will be in danger as well. Meanwhile, Lee Min Jung gazes sorrowfully at him as she holds back her emotional tears. 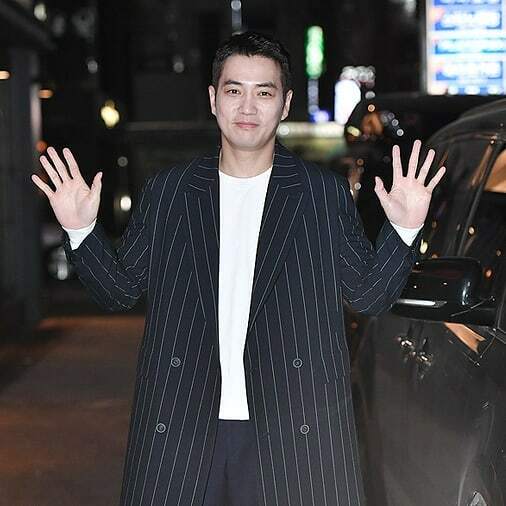 In the last episode, Tae In Jun (played by Joo Sang Wook) visited Goo Hae Ra (Lee Min Jung), who helped him get revenge, to vent his love and resentment that still lingered in his mind. Due to guilt, Goo Hae Ra couldn’t approach him. She is prepared to go to prison to atone for Tae In Jun. 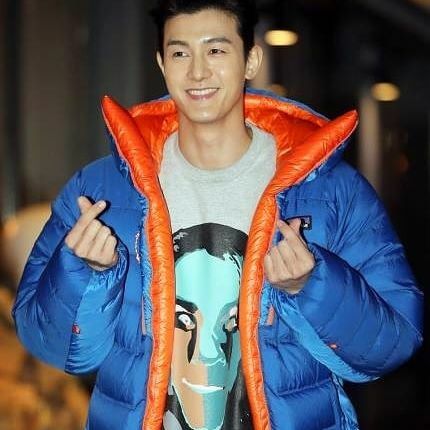 The viewers are focused on whether the complicated couple, which has become tangled up with misunderstandings and conspiracy, will be able to reunite or not. The last episode will air on February 9 at 9:05 p.m. KST. Felt a tad rush wanted more then a hug at the end but oh well it make sense,I am assuming they are starting from the beginning. Sorry about that we usually just post stuff after it ends or as its happening it most topics. Wait did you just spoil the ending for who might have not seen it yet? Sorry about that we usually just post stuff after it ends or as its happening it most topics so just edit your post please. If you have a membership on Kocowa, you can watch it there. They released the subs just now. I never would have guessed the attempted murderer would have been Go Ah Jung. Granted she was in a tough situation herself but hurting or attempting to murder someone is not an excuse. I thought she would play a significant role in bringing the evil son/mom, and she did play a big role. But what a twisted plot. Really enjoyed this drama. This show had many plots and twist from the very beginning and it did not disappoint in the end either( at least for me). Welp - hated the ending as expected. The writing has been poor from around the middle so not sure what I was expecting. IJ up there as one of my least favourite main characters. If the first few episodes didn't drag me in so much and Lee Min Jung wasn't in it there was no way I'd have made it to the end. Issues with this show stem from just not connecting or feeling for any characters in this show. IJ originally but he became incompetent at nearly all facets of life pretty early on. Usually shows can make difficult characters have heart but this show failed in that. No-one was really innocent in this show (even HR's sister getting pregnant with a married guy) which isn't rare in kdramas but they failed to make anyone sympathetic when thinking about the main core of characters. I'm very indifferent to romance in shows but this one barely felt like one. IJ handed his "revenge" on a platter by everyone, didn't have to work for it at all. Probably even screws up his retrial in some incompetent way if HR's sister didn't wake up to point out the culprit for him. His revenge didn't feel very satisfactory at all for me. His character development has been non-existent for me and he has just been too "weak"/incompetent since he stopped his revenge the first time. How the SIL knew about SH being the mother of Jennie never explained. Why TO needs HR to get the kidney not explained considering the SIL's answer was SH who he would have known about anyway and he could have blackmailed like he ended up doing anyway. JH going to prison for a very long time/life for various things including conspiracy to murder and whatnot and your telling me he's not going to mention HR doing dodge stuff with him for those years after she's the one that essentially brings him down and screwed him? Pretty sure he makes a point a few episodes ago about getting her involved to get her dirty. Nothing about why SH gave up the kid in the first place,the character was just completely neglected in the second half of this show. Know nothing about Min Woo. Having the SIL being the attempted murderer as well was just dumb for me and them trying to have a twist in the final two episodes - cop out resolution with near zero impact on the end game. The more I think about the show the dumber it gets so I'm just going to stop thinking and discussing it. Will have to avoid this writer in the future. Not 100% sure what point you're trying to make. Why would he need the SIL to tell him anything about SH and how does she even know SH was Jennie's mom. It was never explained how she knew what she did when it seems like SH's mother covered it up or how she convinces TO with information he already knew. You're telling me someone as desperate as he is made out needed the SIL to point out the mom might be a good donor? That makes no sense to me. It's like the guy flies all the way to Korea desperate for a kidney only for some random lady to tell him the mom is a good donor. This show set up interesting characters and plot threads but none materialised into a clever/shocking/interesting conclusion. It's like when some people watched Lost expecting cool explanations/answers and all you got were half thought on conclusions. This show just ended up being very unimaginative/vanilla despite the interesting start. And with regards to the romance, saw this comment on mydramalist and it very much sums up how I feel about it and never cared/wanted them together in the end. The "relationship" rarely had moments of mutual genuineness. The Romance in this is very.. lacking. It feels like everything was faked, even though they DID have feelings for each other.. it didn't feel like it. Goo Hye Ra never opened up and trusted In Joon no matter what he gave up for her, and even in the end, it was up to In Joon to patch things up and approach her once again. I'm not saying she should've done that instead, I'm just bothered by this.. love, which seems like a one sided affection. She never held onto him, never believed and trusted him enough to ask him for help, and she ended up making criminal mistakes and hating herself in return until he showed up again. Really hope the background music gets released even though it seems pretty rare for kdramas. Really enjoyed some of those pieces.